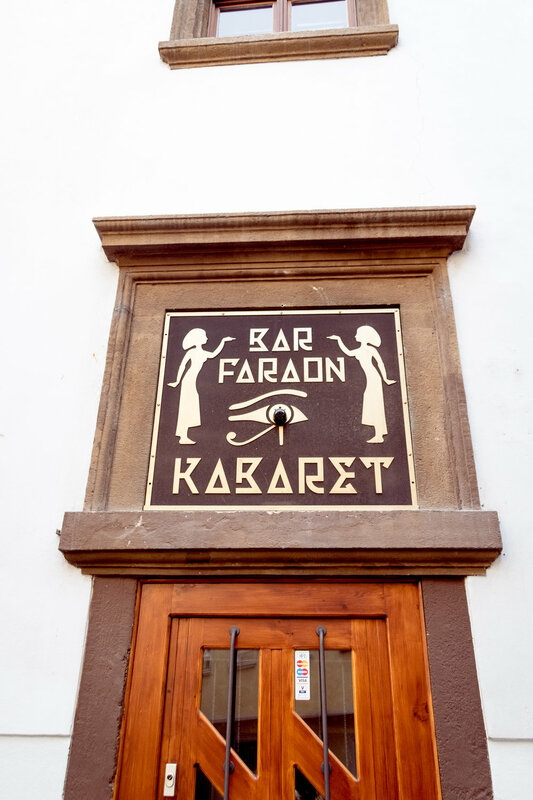 Walking the streets of Prague for the first time, something caught my design eye: the city was a treasure trove of unique signage and lettering. Wow! Hand-painted, neon, printed, or buried in elaborate moulding, almost every shop, restaurant, hotel, and noteworthy building boasted its own quirky typeface. Here are a few examples of the fonts I saw, and a Google search didn't come up with any results on this topic, so I will chalk this up to the artistic, bohemian nature of beautiful Prague.